When I had my first child, I inevitably found myself carrying a gigantic diaper bag full of all the things a new mom needs plus another 10 pounds of things, just in case.. My shoulders and lower back were constantly sore. Blame it on foggy, mommy brain but it took me a while to realize the pain was coming from that darn bag. In the fog of carrying for that child, then the next, and the last, I never did anything about it. Fast forward to the last few years, where my life is basically lived out of a car that drives too and from school, appointments, one errand after another, and sports practices. Hard to believe, but I think I carry more in my purse now than I did when I had to be prepared for baby emergencies. 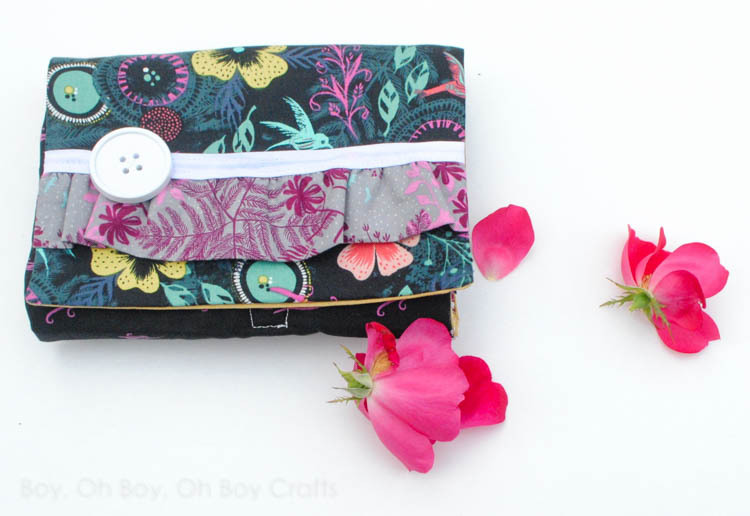 I’ve finally done something about it and have sewn up the lovely Ruffle Front 3 Layer Clutch for this month’s Upcraft Club post. Come on over to see all the details and read up on how perfectly this has solved my problem. 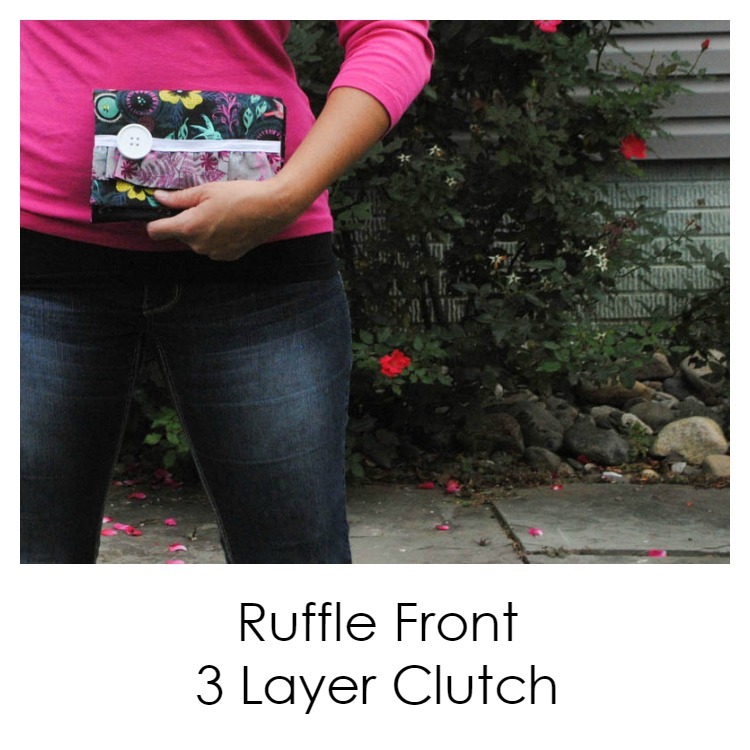 I’ve added a simple ruffle modification to the clutch front and just adore how it came out. Plus, Cotton and Steel Prints. You can never go wrong with those!